We specialize in providing all levels of jewelry repair and custom design jewelry from concept and design to completion, Swiss watch repair, appraisals, and a unique selection of designer jewelry, timepieces, diamonds, gifts, and writing instruments. Established in 1990, this family-owned business has two boutiques: Jean-Jacques Mamie Fine Jewelry at the Monarch Beach Resort and Swiss Connection at Ocean Ranch Village in Dana Point, CA. Both locations offer designer jewelry, fine watches, and one-of-a-kind gifts. Swiss Connection provides custom design services, appraisals, and watch repair. 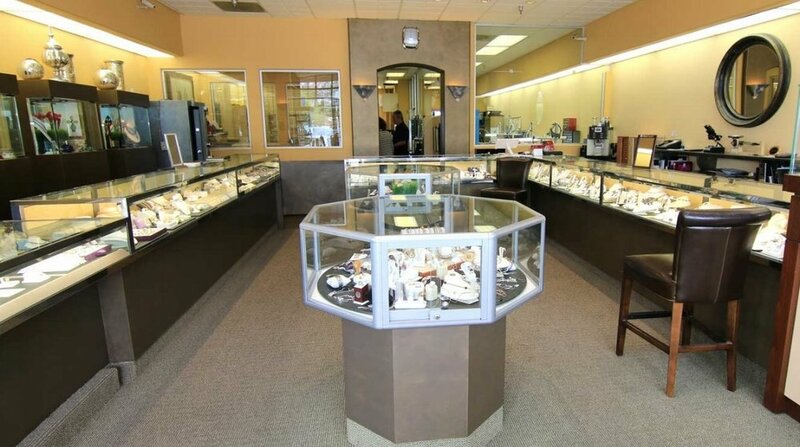 Our staff looks forward to helping you with all your fine jewelry and watch needs! Jean-Jacques Mamie is a GIA Graduate Gemologist, Jeweler and Swiss Graduate Watchmaker. Jean-Jacques, a native of Switzerland, came to the United States to instruct American watchmakers to work on Piaget, Corum, Movado, Cartier, and Concord products. While in the United States, Jean-Jacques graduated from the Gemological Institute of America (GIA) with a degree in diamonds, colored stones, and jewelry.